Hunan Province lies in south-central China between 24°38'-30°08' N and 108°47'-114°15' E. Hunan is named after its location at the south of Dongting Lake (Hu means lake and Nan means south literally). It covers an area of 211,800 square kilometers (81,776 square miles), 2.2% of the total of the whole country. It is adjacent to Jiangxi Province in the east, Chongqing Municipality and Guizhou Province in the west, Guangdong Province and Guangxi Autonomous Region in the south, and Hubei Province in the north. Dongting Lake is the largest lake in the province and the second largest freshwater lake in China. Xiangjiang, Zijiang, Yuanjiang and Lishui Rivers are the four main tributaries of Yangtze River flowing through Hunan, and into Dongting Lake at Chenglingji, Yueyang. Hunan is located in a region with a continental subtropical seasonal humid climate with four distinct seasons. It has abundant sun, long frostless periods and abundant rain. The annual sunshine duration is 1300 to 1800 hours. The annual average temperature is between16℃-18℃. The frostless period is as long as 260-310 days. Annual rainfall is 1200-1700 mm, which is favorable for agricultural crops and green plants. 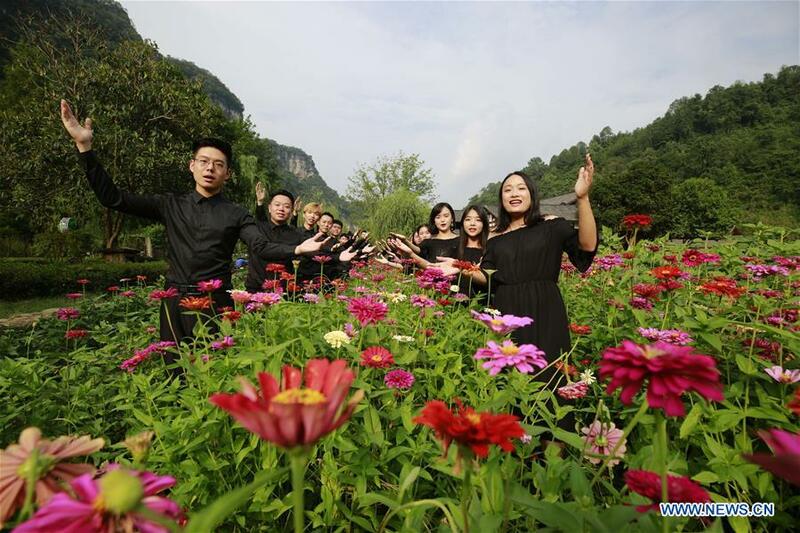 By the end of 2017, the population of permanent residents in Hunan reached 68.602 million, including 37.47 million urban residents with an urbanization rate of 54.62%, a year-on-year growth of 1.87 percentage points. there are 2.6395 million Tujia people, 1.9215 million Miao people, 0.8421 million Dong people, 0.7046 million Yao people, 0.1256 million Bai people, 97.4 thousand Hui people, 23.6 thousand Zhuang people, 15.9 thousand Mongols, 8206 Manchus and 7939 Uygur people. The Lengshuijiang area is noted for its stibnite mines, and is one of the major centers of antimony extraction in China. Hunan is also well known for a few international makers of construction equipments such as concrete pumps, cranes, etc. These companies include Sany Group, Zoomlion and Sunward. Sany is one of the major players in the world. Liuyang is the major maker of fireworks in the world.